For my research project at Temple University’s Digital Scholarship Center, as part of the Digital Scholars Program, I worked on locating the American Dream in digital newspapers through distant reading. This project was a proof-of-concept for case studies within my dissertation. 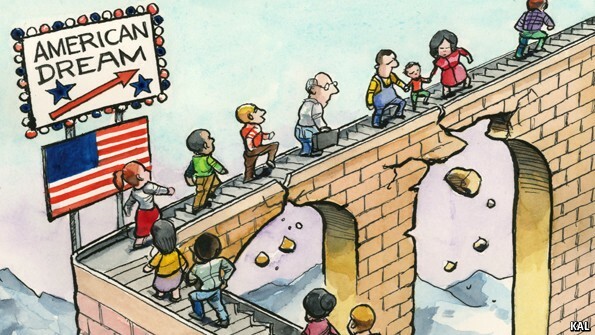 My dissertation examines why place matters for Americans’ confidence in the American Dream. Within my dissertation, I’m conceptualizing place as region and urbanicity (referring to population density) and I’m conceptualizing confidence in the American Dream as belief in the progress in one’s life and in the lives of one’s children. I plan to utilize the methodology used in this project to conduct case studies for any regions and/or urbanicities that are surprising within my quantitative data analysis. With this project, I analyzed whether the appearance/usage of the term “American Dream” in digital newspapers differed amongst areas in Pennsylvania. My data came from five digital newspapers: philly.com (Philadelphia), PennLive (Harrisburg), Lancaster Online (Lancaster), The Morning Call (Allentown), and Times Leader (Wilkes-Barre). 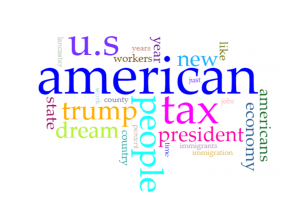 In terms of search parameters, I included every article that was published in these digital newspapers from September 1, 2017 – February 28, 2018 containing the term “American Dream” in the title or text of the article. 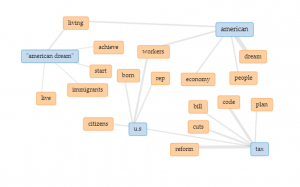 Using Voyant, I analyzed the word frequencies and word links within these articles. I was interested in how the term “American Dream” was being utilized in each digital newspaper to get a sense of makes people hopeful or confident in the American Dream in the area. Understanding what words are associated with the term “American Dream” can provide insight into what a community associates with progress. First, I compared the Philly.com articles against the articles from the other four digital newspapers combined to see if there was a distinction between an urban area and less urban areas. As seen below, both the word frequencies and word links are somewhat varied amongst the Philly.com corpus. Looking at the word links, there are terms related to music, food, DACA, and college. This variety reflects the varied topics of the Philly.com articles the “American Dream” appeared in: opinion, real estate, music/nightlife, and health. As seen below, both the word frequencies and word links are more focused amongst the corpus of the other four digital newspapers combined. Looking at the word links, there are terms related to taxes, the economy, immigrants, and labor. 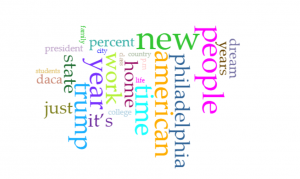 The term “American Dream” appears in a more focused and specific way in these articles, relating only to politics or the economy, than in Philly.com where the term is also associated with new restaurants, musical events, and local news. Again, this reflects the topics the articles the term “American Dream” appeared in: in these four digital newspapers, it was almost all opinion articles or letters to the editor. These preliminary findings suggest that the appearance/usage of the term “American Dream” in digital newspapers differs amongst Philadelphia and less urban areas. Furthermore, there could be a community component, as reflected in local digital newspapers, to what makes people hopeful about the American Dream. The appearance/usage of the term is more diverse and varied in Philadelphia and more focused in the less urban areas on taxes, the economy, immigrants, and workers. In Philadelphia, residents may associate the American Dream, and progress, with things such as restaurants, music, politics, and education and their confidence in the American Dream can come from a variety of sources. In less urban areas, progress may solely be linked to politics and the economy, limiting sources of confidence in the American Dream. Preliminary analysis also suggests that there is a nuanced distinction amongst the digital newspapers from less urban areas. For example, the term “American Dream” is linked to words like “achieve” and “alive” in the articles from Harrisburg while it is linked to words like “opportunity” and “athletes” in the articles from Lancaster. In Harrisburg, residents may view the American Dream as achievable while in Lancaster, residents may view the American Dream as an opportunity, linked to something like success in athletics. 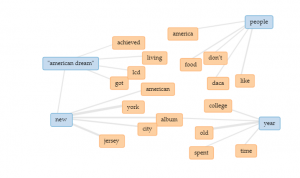 Overall, this project indicates that the appearance/usage of the term “American Dream” varies amongst digital newspapers. These preliminary findings suggest that understanding what a community associates with progress, as reflected in their local digital newspapers, can potentially provide insight into place-based confidence in the American Dream. The methodology utilized in this project will help me better understand sources of place-based confidence in the American Dream in certain region and/or urbanicities within my dissertation.